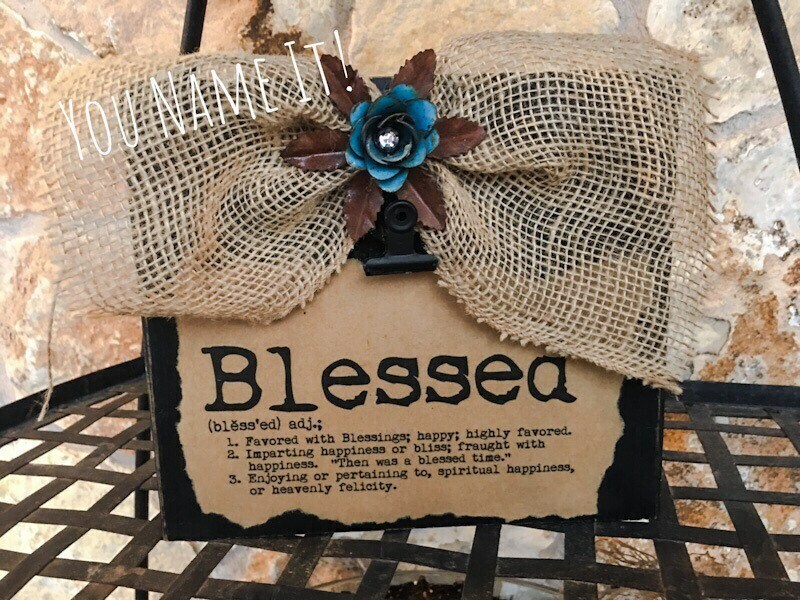 Memo Clip Board - "Blessed"
Black painted board with decoupaged “Blessed” saying. Features burlap bow and flower embellishment. Can be used to clip your grocery list, reminder or favorite picture!